I highly recommend visiting one or more of the Mennonite and Amish museums for several reasons. More than likely, you feel drawn to Lancaster County partly because you're interested in witnessing firsthand the region's Mennonite and Amish cultures. Most visitors hope to have some direct contact with the Mennonite and Amish locals, but except for meeting those working at shops, restaurants, or roadside stands, such interaction is usually limited and minimal. The Mennonite and Amish museums are often run by an Amish or Mennonite staff or by those who have lived much of their lives among these communities. Therefore, these museums tend to be a great place to learn some valuable insight firsthand. Most people know very little about the Amish and Mennonites other than what gets filtered down and distorted through popular culture such as the cinema and television. As a result, many visitors experience these unique cultures through those previously formed interpretations which are often two-dimensional and inaccurate. If you don't have the time or desire to read one of the many fine, scholarly books discussing the region and the people, visiting the Mennonite and Amish museums is a painless way to get a quick but accurate and unbiased introduction. In addition to traditional museums which consist of conventional displays and exhibits, I've also included other facilities that provide information and insight into the Mennonite and Amish way of life, culture and beliefs. Since many of the Mennonite and Amish museums listed here involve visiting restored homes and farmhouses as well as watching movies, they can be a lot of fun as well as educational. This little Amish museum offers a nice introduction to the Amish lifestyle. Included is a hand-on museum as well as a theater showing a documentary film called, "Who Are the Amish." 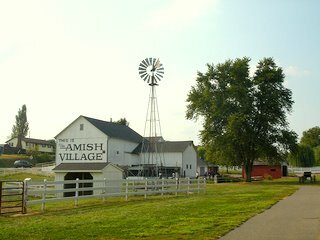 The Amish Experience is more than a simple, run-of-the-mill Amish museum. Overall, it provides a valuable, informative, and fun background to the Amish way of life in Lancaster County. You will get the chance to visit the Amish Country Homestead which is a recreation of an Amish homestead. Here you will learn of Amish traditions and practices, including Sunday church services held in the home. You'll tour the 9 rooms on the first and second floors and learn up close how a typical Amish family lives from day to day. The Amish Experience also offers a special 40-minute multi-media "movie" called "Jacob's Choice" where you will experience an Amish family's effort to preserve a lifestyle and a culture over many generation. Surrounded by five projections screens, special effects, and cutting edge sound imagery, you will feel like you are one of the characters of the family. An integral part of "The Amish Experience" is the Amish Farmlands Tour which will take you deep into the heart of some of the most beautiful farmland, all farmed with horses and mules rather than tractors. Built in 1805, this Amish farmhouse has been a home for many generations for over 200 years. Knowledgeable guides take you through the house on a 45-minute guided tour and explain the lifestyle of the Lancaster County Amish. Observe the summer kitchen, smoke house, milk house, chicken house, windmill, waterwheel, and pumps; an 1803 lime kiln which is one of the last ones remaining in the region; and, a 1775 operational baking oven. Among the tour of the farm you will see the original 1803 stone bank barn which has a unique Pennsylvania Dutch design; an authentic 1845 Conestoga wagon which "revolutionized" life in colonial America; an original tobacco shed with displays of actual tobacco and tobacco memorabilia; and, a blacksmith exhibit highlighting the blacksmith profession in Amish society. You will also get to see the Willow Lane One-Room Schoolhouse which is Lancaster County's only one-room school opened specifically for tours. 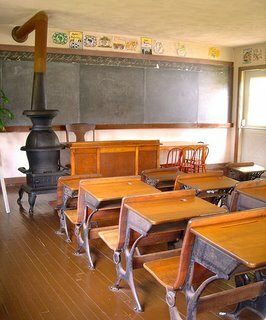 Inside the school you will see a working gas stove and gas lights, Amish artwork done by local Amish children, the Amish curriculum, games, posters, and more. Other activities include buggy rides, quilting demonstrations, woodcarving demonstrations, and more. Part Amish museum, part educational tour through an 1840's farm house which is furnished as a typical Lancaster County Old Order Amish house. The grounds include a barn with farm animals, operating water wheel, a smoke house, and a blacksmith shop. There is also a picnic area available. Established in 1958, this is a research facility specializing in Mennonite as well as Amish history. There are over 60,000 volumes of material covering theology, history and genealogy. Although technically not a museum, the Mennonite Information Center is a great place to be introduced to the Mennonite as well as Amish people. The facility features exhibits on Mennonite and Amish history as well as a documentary on the Amish and Mennonite way of life. This is also a good place to pick up brochures detailing regional restaurants, lodging and attractions. You can also arrange for guided tours of the scenic countryside. Built in 1719, this restored building is the oldest surviving dwelling in Lancaster County that served as the earliest meetinghouse for Swiss Mennonite immigrants. Take a tour of the house which is constructed in medieval German style. Hans Herr House provides a nice introduction to the history and culture of the Mennonite people. 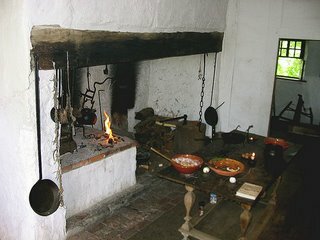 There are also demonstrations of rural daily life such as hearth cooking, gardening, and soap making. For more Lancaster County museums, see the following. Please note that since the themes of these museums often overlap, some of the museums may be listed under more than one category.